Edison Township took its name from the famed inventor who perfected the light bulb in the sprawling Middlesex County town. But on the site of Thomas Edison’s laboratory, in the town’s Menlo Park section, sits a crumbling concrete tower surrounded by a makeshift metal fence and a tiny, shack-like museum. 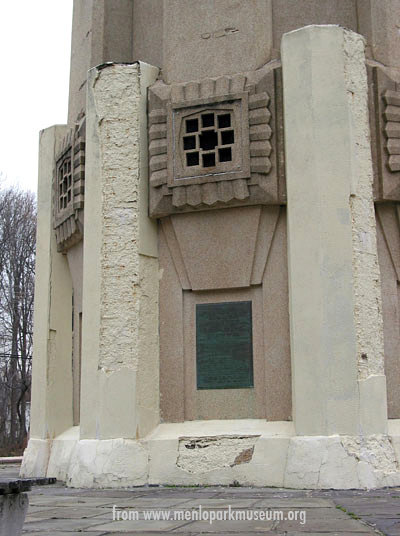 The Thomas Edison tower and museum in Edison are both in need of repair. For years, the lab has been overshadowed by the inventor’s West Orange laboratory, which boasts a popular museum that recently underwent a $13 million renovation. The Menlo Park site has long had trouble securing money for improvements. The future, however, looks brighter. 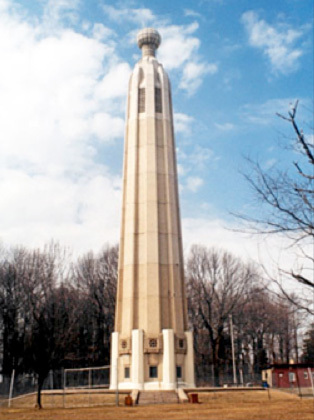 Work is expected to begin this summer to restore the memorial tower — part of a plan that includes a bigger museum and science center at the 37-acre historic site on Christie Street just off Route 27 (Lincoln Highway)…. A surge in funds has helped. The nonprofit Edison Memorial Tower Corp., formed to revitalize the site, has raised $3 million in four years…. In 1938, the 130-foot Art-Deco tower was raised in his honor. 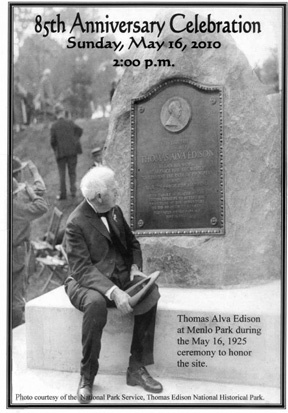 Sixteen years later, in 1954, Raritan Township changed its name to Edison Township to honor the famous inventor…. The Menlo Park lab collapsed in 1913 and Henry Ford used remnants to build a replica in Dearborn, Mich., in 1929. The ramshackle Menlo Park museum still houses one of Edison’s first light bulbs, 22 working phonographs and a letter the inventor penned to a newspaper editor who gave him the “Wizard” nickname. About 10,000 people visit each year.